Early Ford Roadster Pickup Photo Picture Classic Cars for sale & Classifieds - Buy Sell Classic Car & Classic Truck Classifieds. Who says there is no vintage tin left out there. this one is amazingly complete ( as far as we can see) I love it. 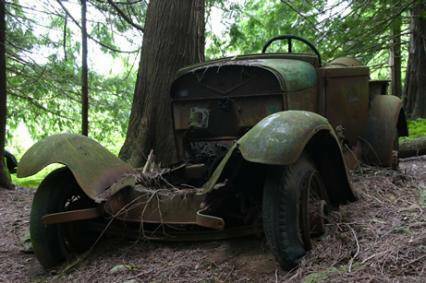 what a great find...it would be a shame to let this one rust into the ground!! does uncle Jed know his trucks missing? if i said it once i said it a thousand time's! we need a web site that will tell us where to find these old relic's ? if i knew who i would make one but i dont, but somebody out there does ! please do!!!! you're right rustyoldman it would make one hell of a rat rod.It's just finding it. is anybody that can give me more info on this truck? a contact would be great! This would make one hell of a street rod 302 C4.